CarmenSwim online store has the following means of payment: transfer and credit card through PayPal and bank transfer. If you choose the bank transfer as a form of payment, you must indicate the web order number in the transfer concept. 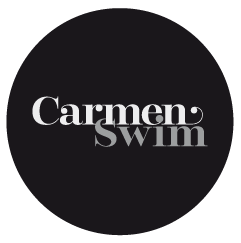 To return an item purchased in CarmenSwim you just have to contact a courier company or with the Postal Office and send us the item. The shipping costs must be paid by the customer who wishes to make the return. In case the item sent was defective, CarmenSwim would assume the total cost of the shipment for its exchange and / or return. You must immediately contact hola@carmenswim.com specifying the data and number of your order. We will solve it in the shortest possible time.